Joe Gibbons on his drawings from Rikers Island. Over a forty-year career, Joe Gibbons has become a legend in the world of experimental film. His work so thoroughly wrinkles the cloth woven by art and life that the question of which imitates which becomes moot. 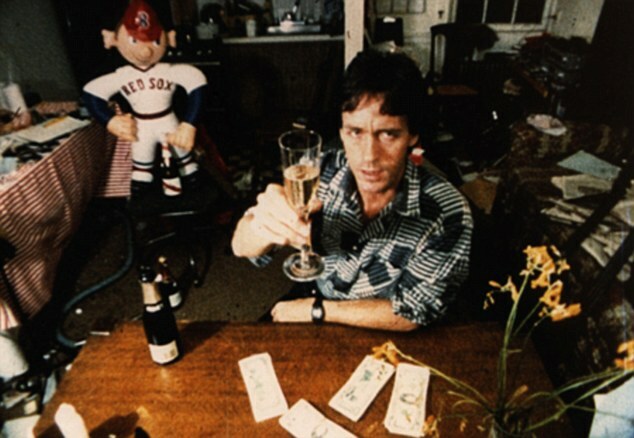 In his 1985 film Living in the World, he stars as a working stiff named Joe Gibbons, just trying to make it through the eight-hour day with his dignity intact. Existentially bereft, he laments, “I read the paper and there’s so much going on that I have nothing to do with.” He quits his job and turns to crime to make ends meet. When the real Gibbons made headlines last year in an unlikely heist story, that same voice was quoted in the papers as evidence of his moral degeneracy and criminal intent. FORMER MIT PROFESSOR “ROBS” BANK, FILMS “HEIST,” the New York Post said. And, later, in the New York Times: FILMMAKER JOE GIBBONS GETS A YEAR IN PRISON FOR A ROBBERY HE CALLED PERFORMANCE ART. 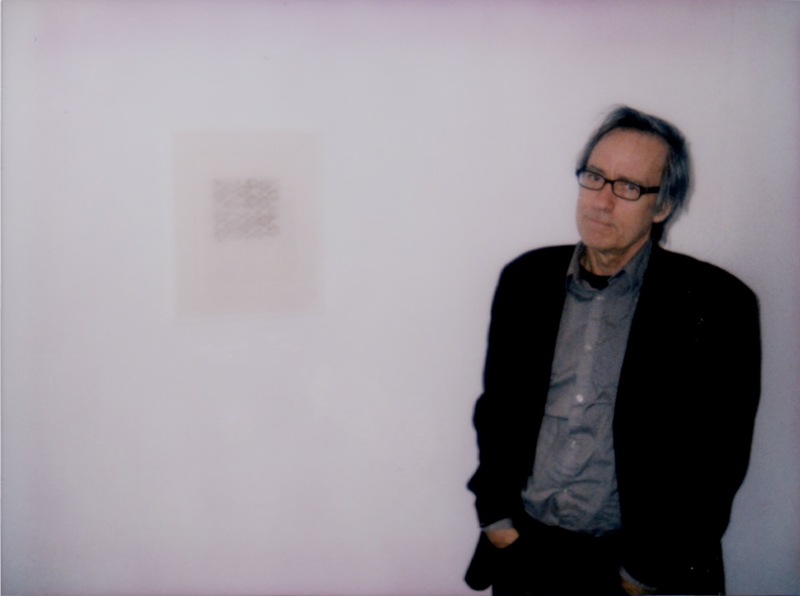 Born in Providence, Rhode Island, in 1953, Gibbons grew up reading Jonas Mekas’s film criticism in the Village Voice and started making films at Antioch College, where he studied with Tony Conrad. He holds an M.F.A. in film from Bard College and has taught extensively, most recently as a lecturer on video at MIT. Gibbons’s works in Super 8, PixelVision, and sixteen millimeter are revered for their unprecedented disturbance of the medium’s intimacy. 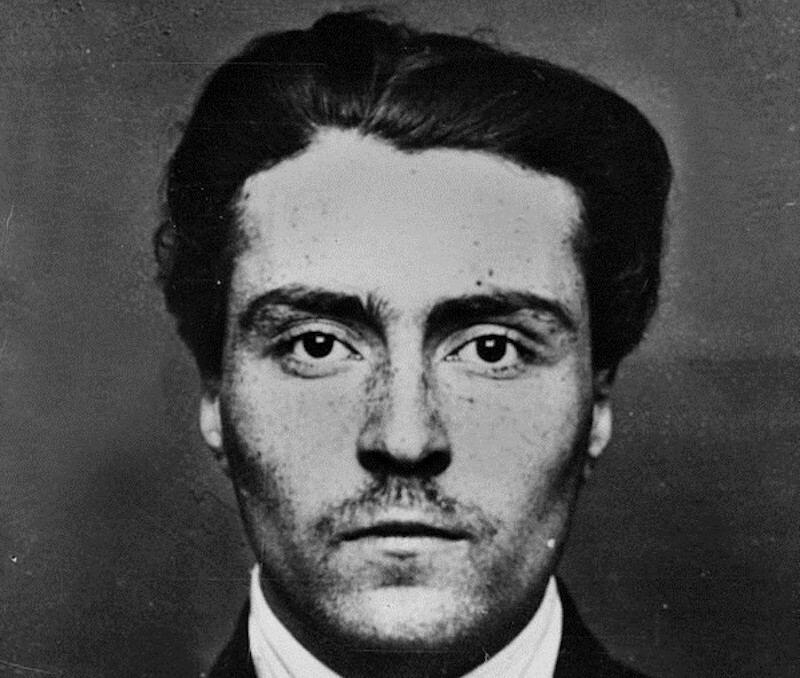 In his films, Gibbons’s charming countenance addresses the camera directly. Joe’s close-up is fundamentally conspiratorial: alternately self-aggrandizing (“I don’t need a job. I’m Joe Gibbons! I take what I need”), self-doubting (“I should’ve quit while I was ahead”), and self-afflicting, as when he documents his heroin use. He’s known to apostrophize nonverbal costars: in The Florist abusing roses for their smug vanity, in Confidential pleading that the camera quit its unflinching voyeurism, and in His Master’s Voice facing the hard truth that his dog, Woody, has no knack for foresight when a world-conquering plan goes awry. His films, with their diaristic approach, are filled with clichés and fantasies, like a self-help book with an unreliable narrator. Insidiously poignant, his work has the unsettling effect that returning home from a vacation does, when routines once ingrained become hideously apparent. 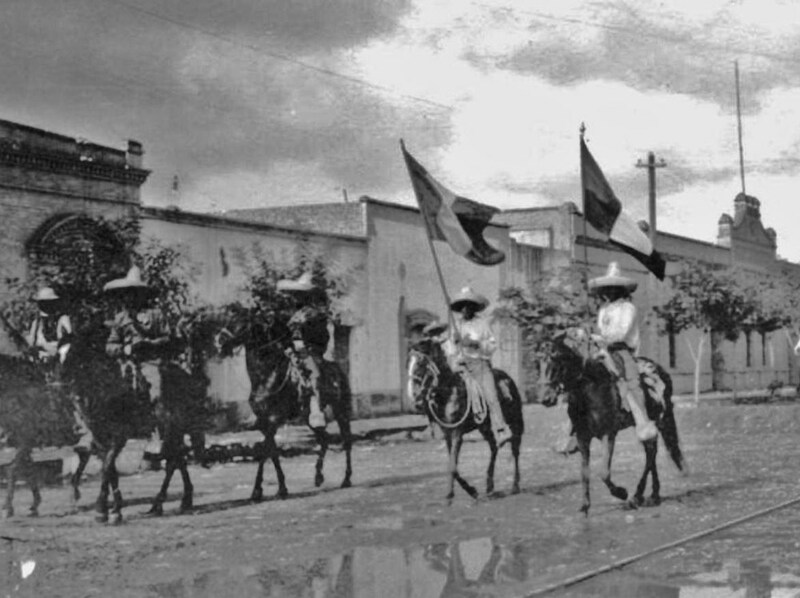 A still from Living in the World. Having served his full one-year sentence for third-degree felony robbery at Rikers, Gibbons was released in September and is now out on bail, awaiting trial for an earlier alleged robbery in Rhode Island. In the interim, he’s having his first exhibition of drawings, at Southfirst Gallery. Gibbons’s drawings, and the interview that follows, offer a view into life in Rikers, albeit one strikingly peaceful compared to the accounts of Kalief Browder, Candie Hailey, and many other inmates who have undergone abuse, all while held without trial. Those tragic stories, coupled with demands to close the dilapidated, inefficient prison, have put Rikers in the news recently, and make Gibbons’s show disconcertingly timely. 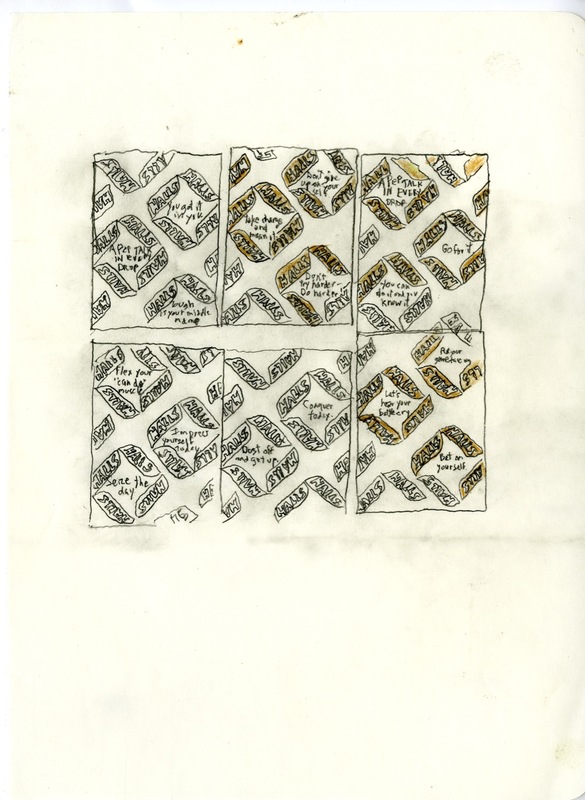 Joe Gibbons, Untitled (Halls Wrappers), 2015, pencil and color pencil on paper, 9 ¾” x 7 ¼”. 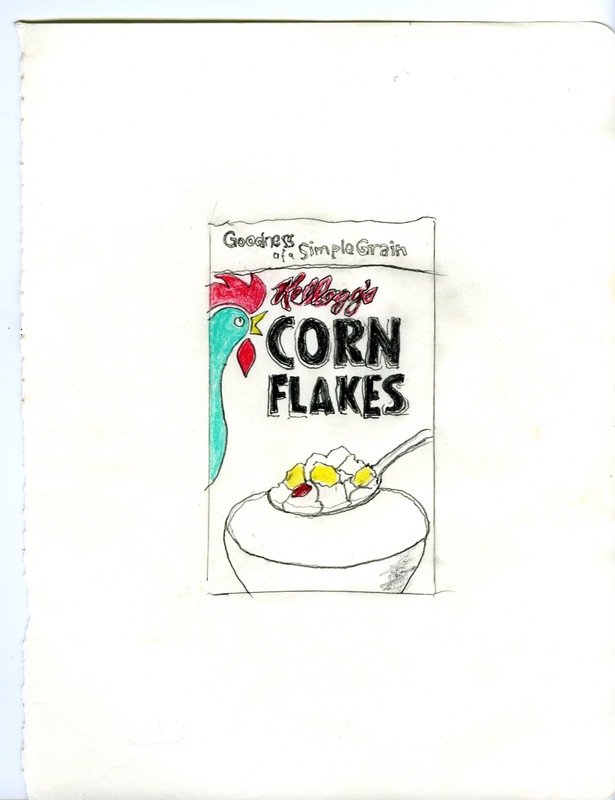 Untitled (Kellogg’s), 2015, pencil on paper, 9 ¾” x 7 ¼”. 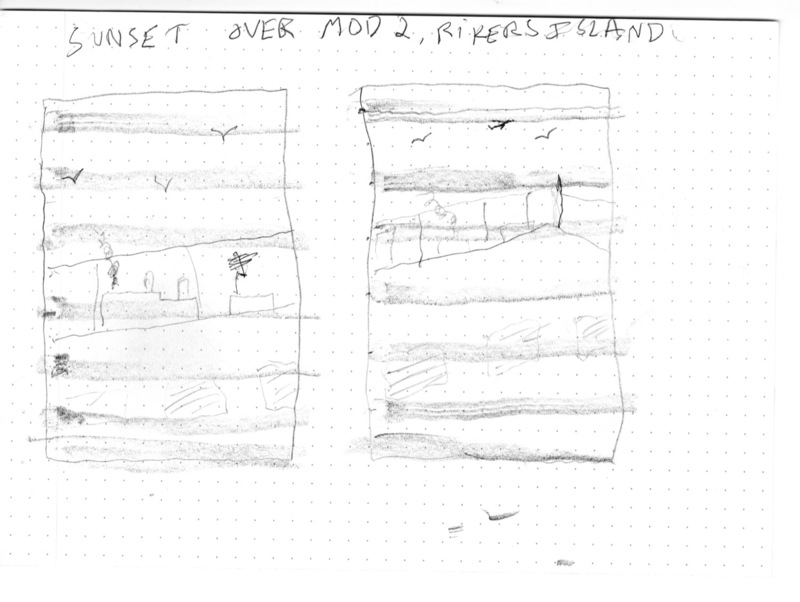 Untitled (Sunset Over Rikers Island), 2015, pencil on paper, 5 ¾” x 7 ¾”. I read that Rikers had the most violent year on record. Yeah, they call it the “Summer of Slashings.” Mostly the adolescents take their ID cards and they break them in half and cut each other with that. That atmosphere seems completely absent in your drawings. It makes it seem more like an artist colony, but that’s what it was for me. It was like a retreat. The guy that lived across the hall from me was an artist, and he would bring me drawing paper and pencils. In Rikers the inmates spent all this time out of their cells telling stories and there was a lot of hilarity. But then there were other people who had terrible experiences and were cut up. A lot of people have a hard time in jail, especially if you’re young. But it wasn’t like I was escaping some intolerable reality in jail to make these drawings. They give you a designation as to how dangerous you are, and for me it was a pretty low classification. Where I was, it was the over-fifty population, so there wasn’t any violence really going on there. 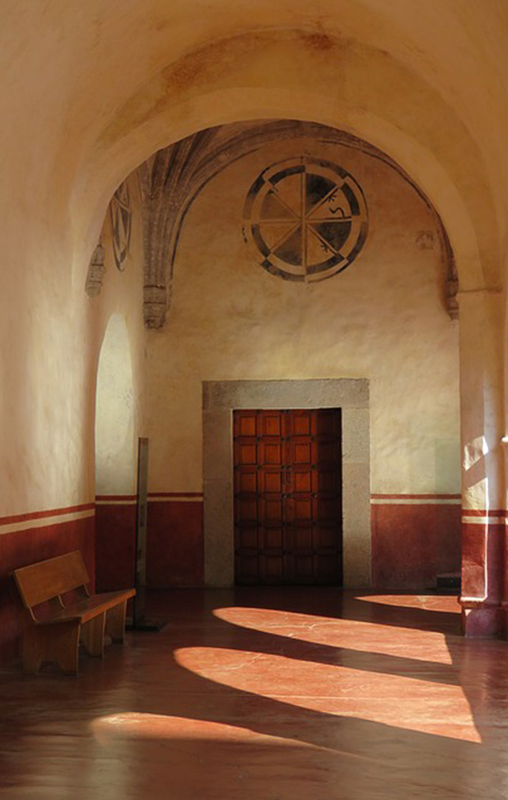 It was a quiet, meditative place. Just once in a while a fight would break out. And of course I would try to break it up. That’s how I lost my several teeth. Well, that’s one of the stories anyway. So were you choosing your subjects from things that happened to be around, or would you seek out things to draw? The camera one was my first attempt. Anne Turyn’s suggestion was, “Draw your Super 8 cameras,” but the only camera I could remember was an old thirty-five millimeter Mitchell camera, and it’s not a very good likeness of it. Imagination isn’t my strong suit, really. The glove in the cup took the most imagination, because it was spring and I knew that there were flowers growing outside, so I tried to make a daffodil. If I had the right drugs I probably would have been able to believe in it, but I didn’t. There were a few things, like the medicine cups I would pick up every day, or the corn flakes. 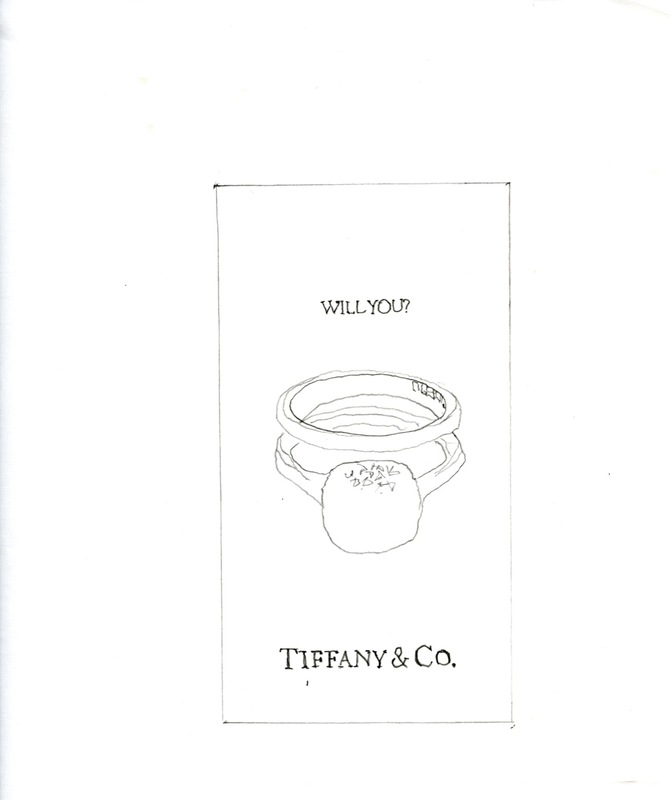 But then later on I focused more on things that I didn’t have, like the drawings of watches and diamond rings. They wouldn’t even let us have watches, and they hid all the clocks, so you didn’t know what time it was. And the New York Times style section was flaunting all these things that most people couldn’t have, but especially if they’re locked up in Rikers they couldn’t have. 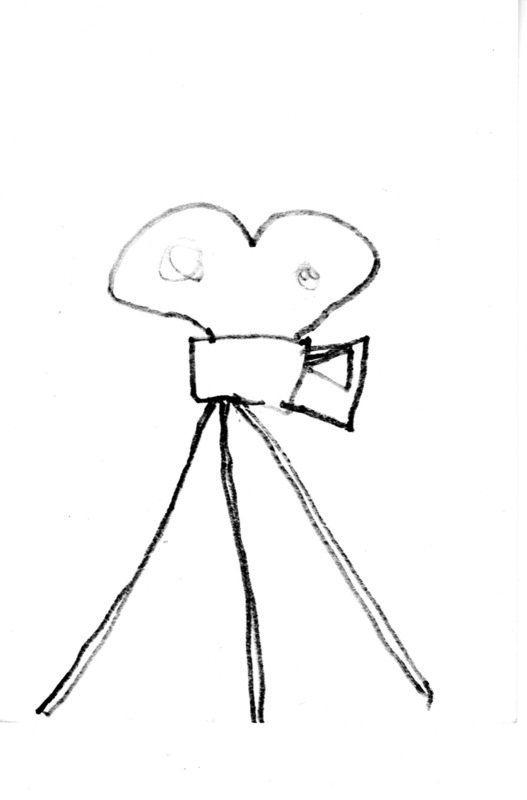 Untitled (Movie Camera), 2015, pencil on paper, 7 ¾” x 5 ¾”. Untitled (August), 2015, pencil on paper, 9 ¾” x 7 ¼”. 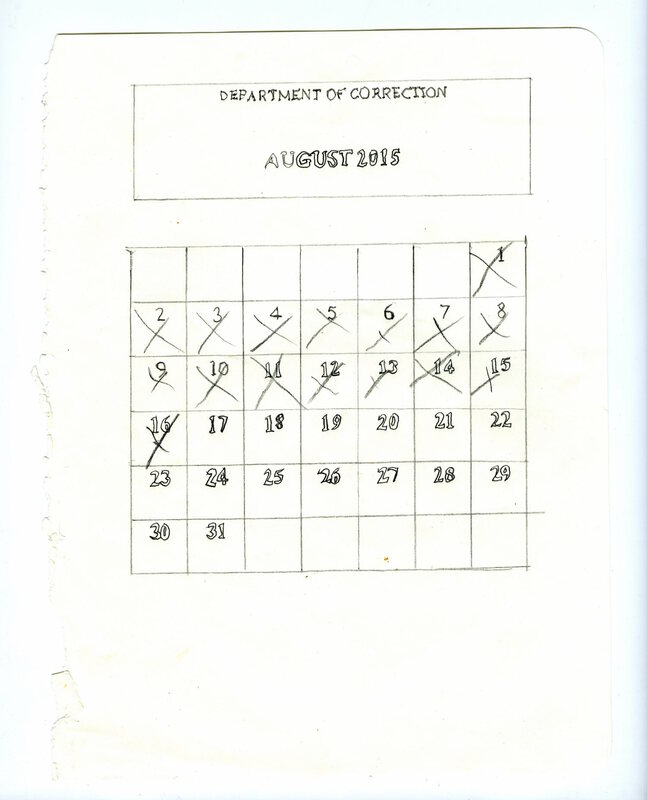 I see some of the drawing as props for your films, like the calendar with the days marked off. Jail wouldn’t be a bad place for an obsessive person. I wasn’t really one of those people who counted days, but I thought I should. I’m attracted to that kind of obsessiveness. I’ve been saving creditor bills for about fifteen years, all the letters saying, Where’s our money? I think it would make a nice installation—to fill up the whole room, wallpaper it. I wanted to call it Deadbeat. Were there any films that you were working on that were interrupted by your jail time? I was making a film about that situation I was in, living in those flop houses. I started shooting in 2008, back when I still had a job, and the economy started crashing. I wanted to make something like Sullivan’s Travels, about a guy who just decides to throw everything away. It was just like all my other films where things go downhill. I was late for work all the time so I was speeding to school, then my job at MIT ended. I wouldn’t say I got fired. And then I got evicted and the marshals came to clear out my apartment. 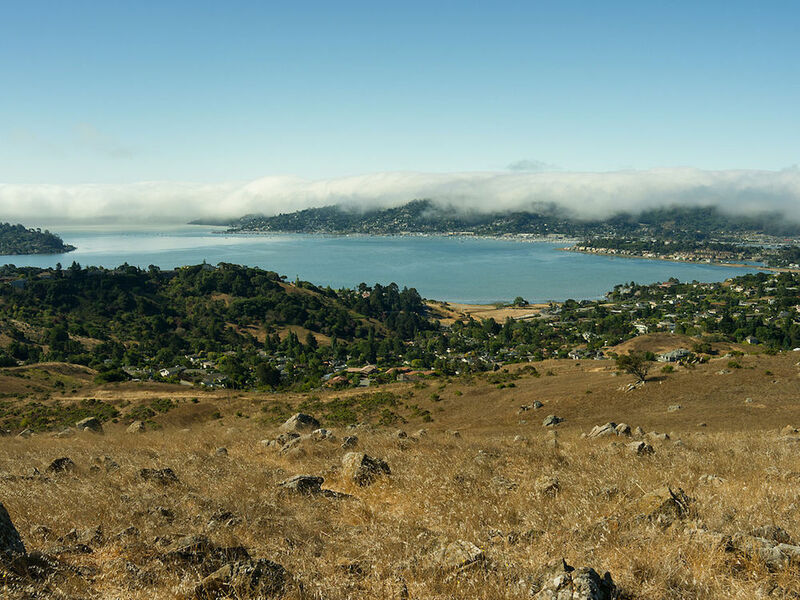 It was all very cinematic, because I had a high-resolution large sensor DSLR. I think it’s funny, but it was really tragic. My main theme was just psychic deterioration and desperation, and finding some comic relief in that. In many of your films you go by Joe Gibbons, but would you say your on-camera persona is a self-portrait? Usually I tell people that especially Confessions of a Sociopath is all real, but the persona is not real. Even if everything that’s depicted is true and not made up, it’s still contrived, because I’m creating a persona, not just in my behavior but in the things I choose to do, like getting in trouble. I really wanted to construct this personality because I didn’t think I was an interesting person. I thought I was just a sheltered, innocent kid who needed to live life a little more. And I had to push that as much as I could. When you go to art school, you realize you need to find a niche. And I learned pretty quickly mine was psychopathology. So I started making a film that I haven’t finished. Well, I made Confessions of a Sociopath, but I thought I didn’t go far enough with that, because some people think it’s ironic, like that I’m not really such a psychopath in it. But I’m going to make another one that’s convincing. I was reading some psychology books in Rikers. Do you see your persona as an artist? I sometimes feel you’re satirically playing the so-called normal person, speaking in clichés, looking for jobs in the newspaper classifieds. It’s more like the life of someone who, regardless of what career, just isn’t cut out for any kind of normative life. When I was making the films like Living in the World, I would avoid having a job for most of that time. But I was working almost every day, not in a legal capacity, just to get money, sometimes to make the film, sometimes for other purposes. I also think I’m normal anyway, no matter how hard I try. Even when I was at MIT someone told me when they saw me out in the hallway they were surprised that the art teacher looked so square. I’ve gone overboard to try to counterbalance that. And it’s easier to do it with a film than in real life because you can fudge things more in film. You control them more. I’m interested in deviant personalities and usually an artist is deviant. 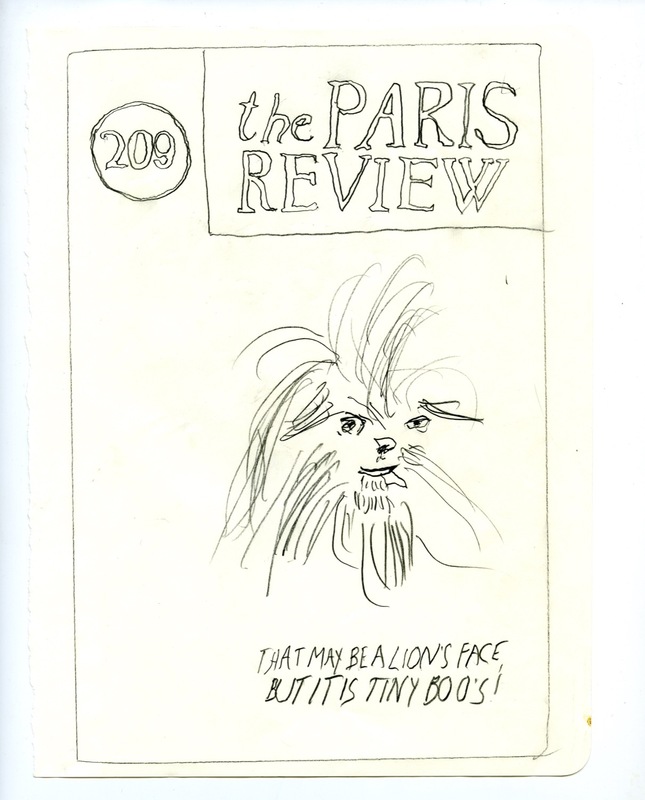 So it’s a caricature of what I thought an artist was when I was a teenager. I would read about these tortured artists like Arthur Rimbaud or Baudelaire or Artaud or Burroughs, and before that blues musicians were my role models. It’s funny because Rimbaud ultimately just ended up getting a job. Yeah, I think he wanted to be a regular guy like his father. Do you see yourself giving up and joining society? Well, I’m not ready to renounce anything. I wish I could go further. I’m just unfortunately not as deranged as I’d like to present myself to be, so I can’t really go that far. Tristan Tzara wrote about how he admires Rimbaud for being an antisocial artist, literally anti-society. Do you subscribe to that idea? 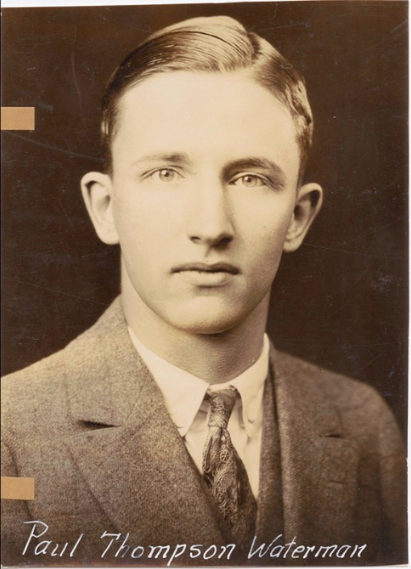 When I was a teenager I liked the Dadaist approach, which was destroy everything. But because I spent so much time as a Catholic, I can’t really subscribe to a nihilist approach, because I probably wouldn’t live that long. I mean, it’s surprising I’ve lived as long as I have, but it’s because I haven’t been that nihilistic. But I used to make a joke that the reason I make the films that I do is so that people can learn from my mistakes, and that gives them a social dimension. I don’t really feel that, but I know when they see films like Living in the World, people are really grateful for that sometimes, people who have jobs and fantasize about quitting their jobs. So you see the films as cautionary tales? That was another joke I used to tell—that people could subscribe to my newsletter, that while they had a job I could go out and get into trouble, and they could experience it vicariously. I thought I could just go around taking on these psychopathologies and mental illnesses and then report back. That comes from Rimbaud—that the artist takes all poisons into himself and experiences their ramifications and then reports back. I can’t really say it without sounding pretentious now. This year, fund-raising screenings have made it easier to see your films than ever before, and now Anthology Film Archives is preserving your films, but do you think the problem with regard to visibility is that your work is hard to categorize? In the art world, it might better be understood as performance art. I could have been a lot better at positioning myself, if I was more calculating. There’s a lot of ways to monetize video, but I have a problem with the art world, present company excluded. I think it’s mostly for social climbers, it’s mystified, and there’s so much pretension. I used to read Artforum all the time and watched the language change regularly, and people would jump on different bandwagons that I just couldn’t take seriously. I still do like a lot of artists, but it’s a hard career to justify, morally. Now that you’re out, do you think you’ll keep drawing? If I had the right kind of environment, I could. I would. But I’m not living in a place now that’s conducive to contemplation, like it was in Rikers. 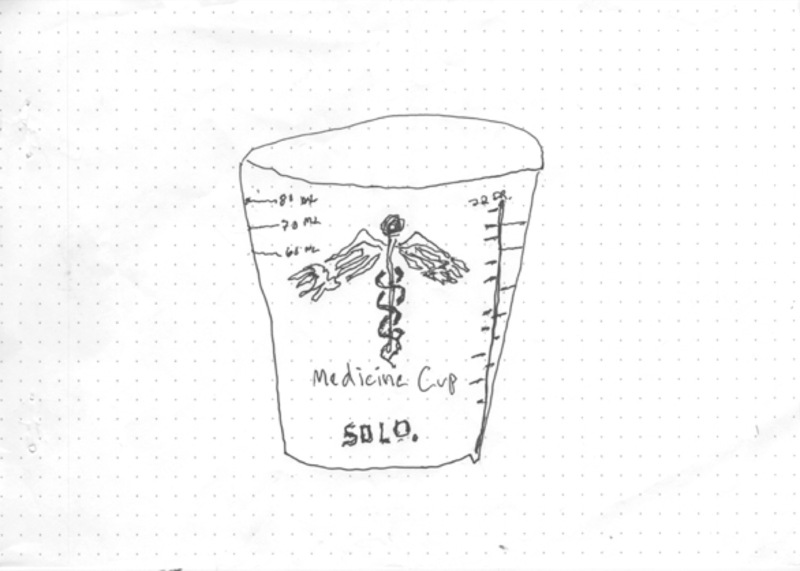 Untitled (Medicine Cup), 2015, ink drawing on paper, 5″ x 8″. 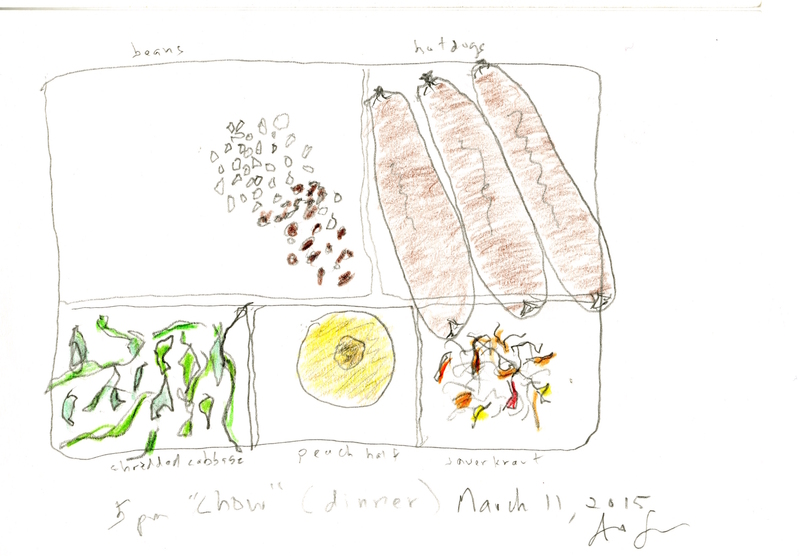 Untitled (Riker’s Rehabilitation Meal), 2015, pencil drawing with colored pencil. 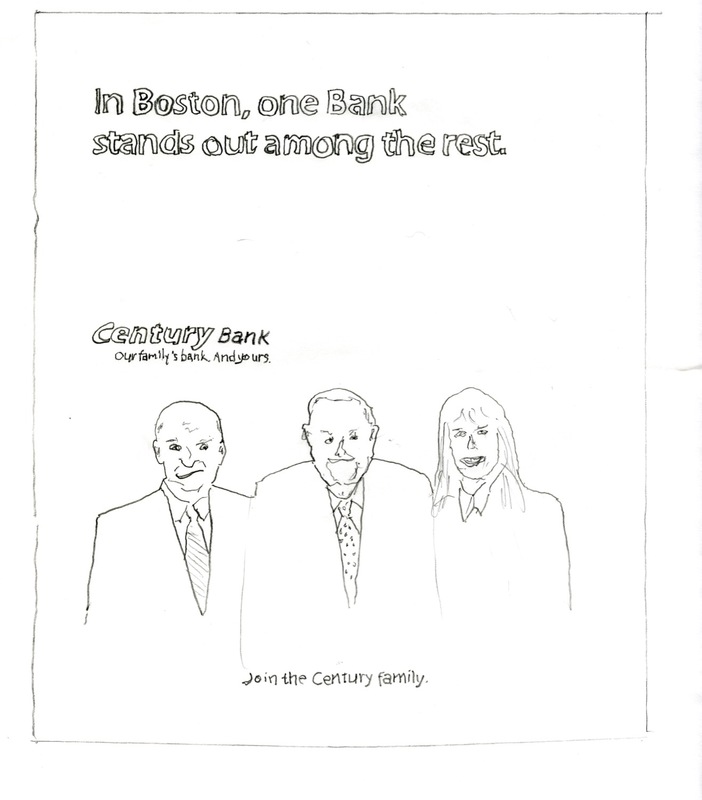 Untitled (Century Bank), 2015, pencil on paper, 12″ x 9″. All images courtesy Southfirst Gallery, Brooklyn, NY. Joe Gibbons’s “Recent Drawings” is on view at Southfirst Gallery through March 13, 2016. 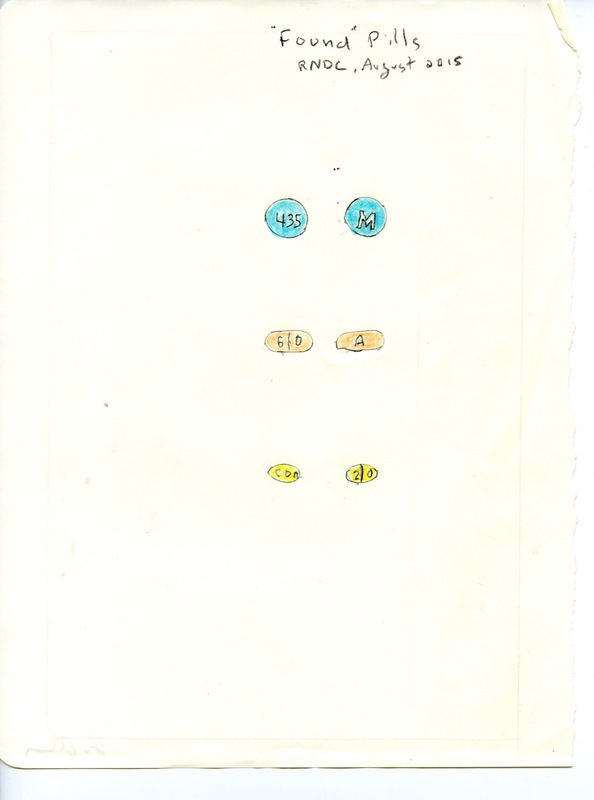 A catalogue by Southfirst Gallery—containing all of Gibbons’ s drawings from Rikers, an interview with Tony Oursler, and transcripts of Gibbons’s voice mails to Andrew Lampert from jail—is coming soon.